When it comes to Halloween, the City of Angels knows how to have a devil of a good time. From the world’s largest Halloween street party, to family-friendly Halloween events at museums and other cultural institutions, Los Angeles attractions, tours and parties offer fiendish fun and spooky scares for everyone. The newest offering from Starline Tours takes you to some of LA’s most infamous crime scenes, including the site of the North Hollywood bank robbery, the murder of Bonnie Lee Bakley (wife of Robert Blake), and the murder of Nicole Brown Simpson and Ronald Goldman. Each tour will be escorted by either off-duty or retired law enforcement personnel. In many cases, the person leading the tour investigated or responded to the original crime scene. The tour uses a custom-designed, 28-passenger bus equipped with video screens for viewing actual police and news helicopter footage of the event prior to arrival. The Crime Scene Tours bus departs from Grauman’s Chinese Theatre twice daily Thursday through Sunday, at 9:30 a.m. and 1:30 p.m. Special evening Halloween Crime Scene Tours will run on Saturday-Monday, October 29-31. Tickets are $69, with Private Charter, Group rates, Student and Senior Citizen Discounts available. On Saturday, October 29th, Madame Tussauds Hollywood will host the Dead Celebrities Halloween Costume Ball, a one-of-a-kind event taking place on two floors, featuring hundreds of celebrity wax figures in a maze-like atmosphere. For one night only, Madame Tussauds Hollywood welcomes guests dressed as their favorite dead celebrities into a Halloween party complete with five open bars, complimentary dinner buffet, three dance floors, and VIP tables with A-list wax celebrities like Will Smith​, Angelina Jolie​, Justin Timberlake​ and more “seated” in their sections. DJs include SKAM artist Eric Cubeechee, Rico Rox (spinning House), and DJ Coolwhip with Hip Hop, Top 40 and Mash Up. Tickets available atWantickets.com. Each year, more than 500,000 people take to the streets of Santa Monica Boulevard to enjoy the largest Halloween street party in the world. Two of the evening’s highlights are the Halloween Costume Contest and crowning of an Honorary “Queen of the Carnaval.” Visitors can also expect live entertainment, food vendors, pumpkin-carving contests and children’s activities throughout the week previous. Admission is free and the event starts at 6 p.m. and runs until 11 p.m. The 12th Annual Día de los Muertos festival returns to Hollywood Forever Cemetery on Saturday, October 22nd from 12 p.m. to midnight. This quintessential Los Angeles Halloween event takes place in the historic final resting place of Hollywood luminaries, and is based on the indigenous Mexican ceremony that celebrates life and ancient traditions, fused with modern culture. Featured performers include Astrid Hadad and Ruben Albarran (lead singer of Café Tacvba). The Ceremonial Altar Set-Up takes place on Friday, October 21st beginning at 5 p.m. General Admission is $10 per person; children under 6 years are admitted free. The theme for the 8th Annual Haunted Museum is “Fairy Tales and Scary Tales,” a family-friendly event taking place at the Natural History Museum of Los Angeles on Sunday, October 23rd from 5 p.m. to 8 p.m. The museum invites guests to explore the enchanted exhibits and get lost in magical wonderlands and sinister woods. The Haunted Museum will also feature dancing men in tights, fairy face painting, and a scavenger hunt. Unique among Halloween attractions, Dark Harbor takes you through the Queen Mary’s actual haunted areas. Thanks to the macabre minds behind some of Southern California’s biggest scream-fests, the scares clock in at over “45,000 per hour,” along with 160 monsters and 20-foot tall flames. Even if you survive the three shipboard and two onshore mazes, the food, drink and entertainment inside will ensure you’ll never want to leave. At this family-friendly weekend event, the Aquarium of the Pacific presents the annual children’s costume contest, the creepy coloring contest, magic shows, underwater pumpkin carving, spooky storytelling, kooky crafts, eerie animals in the Great Hall, and more. Halloween Horror Nights kicks off on Friday, September 23 and continues on select nights through Halloween, Monday, October 31. The event will begin nightly at 7:00 p.m.; closing hours vary by night throughout the event. Stay for all the screams and save! Experience what fear fears the most! Book your Halloween Horror Nights Package today which includes 2 tickets to Halloween Horror Nights, Overnight Accommodations and Complimentary self parking. For more activities not listed here, visit Discover La today! Our source for this blog. This entry was posted in Events, Hollywood, Local Festivities, Los Angeles, Universal City, Universal Studios and tagged California, entertaining, event, Events, family friendly, halloween, Halloween Events, hilton, hilton universal, Hollywood, Hotel, LA, local events, Los Angeles, near hilton hotel, near hilton universal, near hilton universal hotel, near Universal Studios, Nightlife, theme park, Travel, Universal City, universal studios events, Universal Studios Hollywood, Universal Studios Theme Park, venue. Bookmark the permalink. One of my favorite things is to come across is when clients share their memories of Universal City. It looks like you are having a great time! This entry was posted in *Fun Friday, Universal City, Universal Studios. Bookmark the permalink. Celebrate ‘Grinchmas’ in the Entertainment Capital of L.A.
“Grinchmas” time is coming to Universal Studios Hollywood as The Entertainment Capital of L.A. prepares for a lively holiday season with the Grinch, his faithful dog Max, tons of fresh snow and a “Whoville Whobilation” at the original movie sets where the classic “Dr. Seuss’ How the Grinch Stole Christmas” was filmed. Nightly tree-lighting ceremonies, celebrity readings of “Dr. Seuss’ How the Grinch Stole Christmas” and encounters with a “Who’s Who” of Whoville characters will be part of the celebration, which expands this year to 18 days, beginning on December 11 and 12 and continuing daily from December 18 through January 2, 2011. “Grinchmas” is included in the price of theme park admission. Guests will find an immersive holiday atmosphere. A whimsical, curving “Grinchmas” tree will tower 60 feet above the center of a snow-covered “Grinchmas” winter wonderland and will be lit in a nightly ceremony that will feature a colorfully costumed “Whoville” choir caroling and spreading holiday cheer. The Grinch and his faithful dog Max will be on hand to meet fans and take memorable holiday photos. Families will also be able to enjoy traditional winter fun, romping together in a playground of snow and building their own snowmen. “Grinchmas” will also provide fans of the blockbuster movie a close-up view of the original “Whoville” film sets, featured in the classic “Dr. Seuss’ How the Grinch Stole Christmas,” aboard the world-famous behind-the-scenes Studio Tour. As the tram rolls to a stop amid the fanciful “Whoville” buildings, guests will experience a one-of-a-kind performance by “Whoville’s” residents re-enacting favorite scenes and songs from the film. Guests who attend Universal Studios Hollywood‘s “Grinchmas” celebration will be able to stay at one of two local Universal City hotels. Hotel packages and holiday deals enable each guest visit to become a full seasonal experience, with additional time to liesurely peruse CityWalk’s shopping and entertainment, among other treasured Hollywood highlights. The Hilton Los Angeles / Universal City hotel offers all the best of the Hilton brand in a convenient location with a complimentary shuttle to and from the theme park and nearby CityWalk. More information, including holiday promotional offers and information regarding celebrity readings of “Dr. Seuss’ How the Grinch Stole Christmas,” will be available at www.UniversalStudiosHollywood.com. This entry was posted in Events, Local Festivities, Universal City, Universal Studios and tagged attraction, california theme park, ceremonies, ceremony, christmas, christmas event, Christmas season, City Walk, City Walk Hollywood, City Walk Los Angeles, CityWalk, CityWalk Hollywood, citywalk LA, CityWalk Los Angeles, Dr. Suess, Dr. Suess character, Dr. Suess Christmas, Grinch, Grinch Christmas, Grinchmas, holiday event, Hollywood, hollywood attraction, hollywood event, hollywood theme park, hotels near universal studios, Los Angeles, los angeles attraction, los angeles events, los angeles theme park, near hilton, near hilton hotel, near hilton universal, near hilton universal hotel, near hotel, near universal city hilton, near Universal Studios, Seasonal, snow, The Grinch, theme park, Tree-lighting, tree-lighting ceremony, Universal City, universal city event, universal city events, universal studios, universal studios events, Universal Studios Hollywood, Universal Studios Theme Park, Wholiday, Whoville, Winter wonderland. Bookmark the permalink. UNIVERSAL CITY, CA –Universal Studios Hollywood’s new restaurant, The International Cafe, has been honored with a prestigious Sante Restaurant Award for innovation and outstanding achievement in culinary service and hospitality. Now in its 13th year, the Sante Awards program is the only peer-judged national restaurant and hospitality competition in North America. Of the restaurants recognized with awards this year, The International Cafe is the only establishment located within a theme park. The International Cafe opened earlier this year to provide theme park guests with healthy food choices in a casual, unhurried European bistro-style setting. The menu includes creative salads, cheese plates and healthy artisanal sandwiches, along with juices, mineral waters and many other food options suitable for a relaxed, sit-down or on-the-go meal for hungry theme park guests. 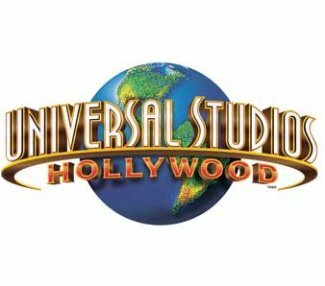 “Dining is an important part of the experience we provide at Universal Studios Hollywood and we want to ensure that our guests have choices that fit their tastes and their lifestyles,” said Eric Kopelow, Universal Studios Hollywood Executive Chef. “The International Cafe is helping us to satisfy a growing demand for healthy, tasty food options.” A graduate of New York’s Culinary Institute of America, Kopelow designed The International Cafe’s innovative menu. Sample menu choices include a shrimp cobb and Greek salad, a grilled vegetable sandwich with gorgonzola cheese, a turkey with muenster cheese and arugula sandwich, a roast beef and brie with roasted pears sandwich and a “caprese-style” plate featuring heirloom tomatoes with mozzarella and basil. Located adjacent to the theme park’s “Streets of the World” film locations, which re-create European streets and plazas, The International Cafe offers indoor and al fresco seating. The Sante Awards were created to recognize excellence in restaurant food, wine, spirits and service hospitality. Award winners represent a broad spectrum of restaurants and industry professionals. This entry was posted in Los Angeles, Universal City, Universal Studios and tagged los angeles restaurant, los angeles restaurant near hilton, los angeles restaurant near universal, near hilton hotel, near hilton universal, near hilton universal hotel, near universal city hilton, near Universal Studios, restaurant near hilton, restaurant near hilton universal, Universal City, universal city restaurant, Universal Studios Hollywood, universal studios restaurant, Universal Studios Theme Park. Bookmark the permalink.